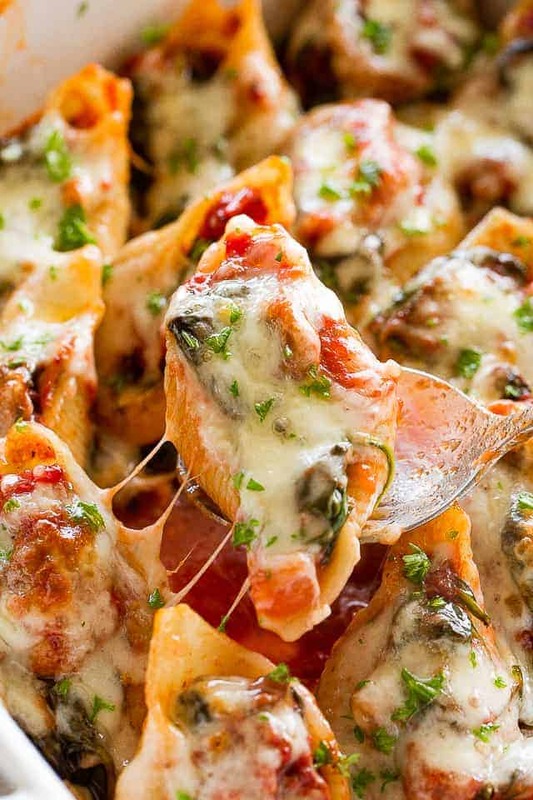 Delicious and cheesy pasta shells stuffed with a spinach, mushrooms and tomatoes filling. Stuffed Shells Florentine are vegetarian, freezer-friendly, and the perfect easy, weeknight dinner! 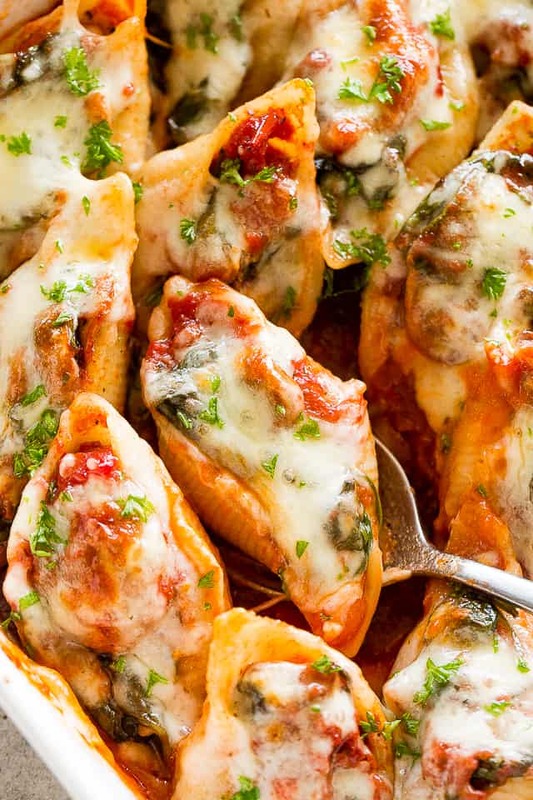 Pasta shells stuffed with a cheesy spinach and mushroom mixture is the ultimate comfort dinner, and it’s SO easy to make. Stuffed shells are a fun and tasty option for pasta night, but also a clever way to sneak in some good-for-you veggies. Covered and masked in cheese, of course. Baked on a bed of flavorful marinara until cheesy and bubbly, these simple stuffed shells are great for a family dinner or even a pot luck. It makes a lot of filling that holds up well, and you’ll be able to stuff around 20 shells. …OR FLORENTINE, which is a fancy way of saying a recipe that features spinach. Cook pasta shells according to package directions. I advise to undercook them a bit, or cook to al dente, because the shells will finish cooking in the oven. If you overcook, they will tear and fall apart. While pasta is cooking, prepare the filling: In a large skillet, cook the mushrooms for 5 minutes. Then, add drained diced tomatoes, some seasonings, and finally baby spinach. Since we’re using a lot of spinach, you will want to cook it in batches. As soon as one batch is cooked down, add the next – I break it up into 3 batches. Coat the bottom of a 9×13 baking dish with marinara sauce. 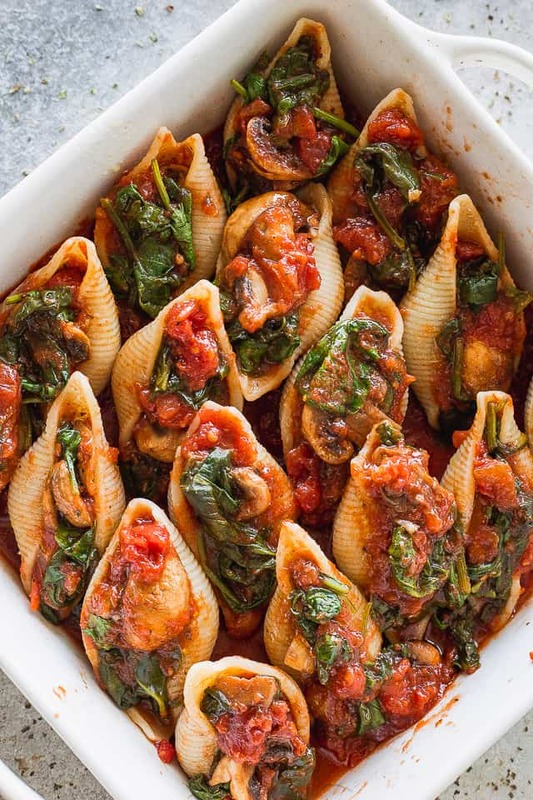 Stuff the prepared shells with the spinach filling, and arrange them over the marinara sauce in the baking dish. 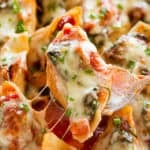 Sprinkle mozzarella cheese all over the pasta shells. Bake in a 350F preheated oven for 20 to 25 minutes, or until bubbly. This dish is so amazing because it can feed an army, and because of its very few layers of ingredients. 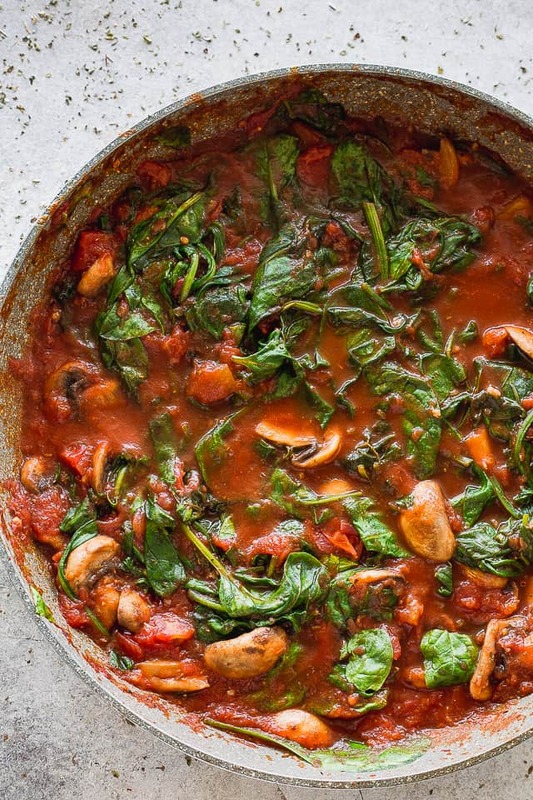 There’s tomatoes, there’s spinach, lots of garlic, meaty mushrooms, and cheese. If, for some reason, you are not a fan of mushrooms (WHAT?!? ), leave them out. You can add ground meat instead, but I would suggest to reconsider – ‘shrooms are good! PREPARE everything up to the point of baking. DO NOT bake. Let completely cool and cover tightly with plastic wrap and again with foil. Freeze for up to 3 months. When ready to bake, remove foil and plastic cover; bake at 350 for 45 to 50 minutes, or until bubbly and slightly browned on top. 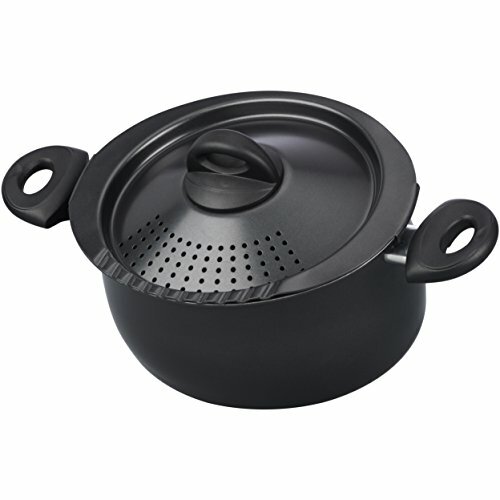 Cook Pasta Shells in boiling water for 8 minutes, or until al dente. DO NOT overcook because they will tear and fall apart. In a large skillet, melt 1/2 tablespoon butter over medium-high heat. Add sliced mushrooms and cook for 5 minutes. Stir in garlic; add remaining butter, and continue to cook for 1 minute. Season with salt, pepper, Italian seasoning, and basil; bring to a simmer. Stir in the spinach. Since we're using a lot of spinach, you will want to cook it in batches. As soon as one batch is cooked down, add the next - I break it up into 3 batches. Remove from heat. Taste for seasonings and adjust accordingly. Drain shells and rinse with cold water; pat dry with paper towel. 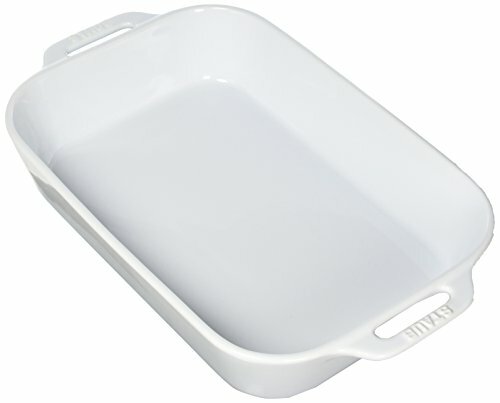 Spread 1-cup marinara sauce on the bottom of a 9x13 baking dish. Stuff each shell with the spinach mixture and arrange over the marinara sauce in the baking dish. Sprinkle the stuffed shells with shredded mozzarella cheese. Bake for 20 to 25 minutes, or until bubbly. Let cool and cover tightly with plastic wrap and again with foil. Freeze for up to 3 months. When ready to bake, remove foil and plastic cover; bake at 350 for 45 minutes, or until bubbly and slightly browned on top. This looks amazing! Can’t wait to try! Yummy! I haven’t made stuffed shells in a while. Hello craving! Stuffed shells are the epitome of comfort food. I love everything about these beauties. Pinned. What incredible shells, I would inhale these! This dish looks awesome-people at work thought I was Italian because of all the pasta I always bring lol. Stuffed shells can make a pretty impressive pasta dish even though the ingredients are pretty straight forward. I really should buy a package one of these days. This is one if my favorite dishes, I made it a few nights ago. Happy Sunday! This recipe looks amazing, I want to eat that tonight!